Supplements can help improve skin by providing essential vitamins and minerals from the inside out. Nutrients that support cell health and regeneration, provide antioxidant protection, and reduce free radicals can help maintain a healthy complexion. Beauty really does start in the inside! Skin care is more than just the topical products you use every night or in the morning. It’s more than just moisturizers, cleansers, and toners. For your skin to look and feel its best, you need to support your skin from the inside out. Dietary supplements that contain vitamins and nutrients essential to healthy skin can be added to your skin care regimen to support the health and appearance of your skin. So, what vitamins are good for your skin? *Epidermis: This is the top layer of your skin, the one you see, and it is responsible for making new skin cells, giving the skin its color, and protecting your body. *Dermis: The dermis is the second, and thickest, layer of skin, and performs many functions, including producing oil to maintain skin’s moisture, producing sweat, and circulating blood to your skin. The capillaries of the circulatory system that nourish your skin with nutrient-rich blood pass through the dermis. The dermis also contains many of the nerve endings that help you feel. Subcutis: This is the innermost layer of the skin. It anchors the dermis to your muscles, cushions your body, provides nutrients to the dermis, and controls your body’s temperature. The skin also contains collagen, the most important protein in the human body, which is also found in bones, muscles, and tendons. Collagen acts as a sort of scaffolding, providing strength and structure in its various functions throughout the body. Elastin is a glycoprotein that is found in the skin. Similar to collagen, elastin aids in maintaining the structure of the skin. But unlike collagen, elastin actually possesses elastic qualities, allowing skin to “snap back” after being stretched and maintaining the “tight” appearance of youthful, healthy skin. 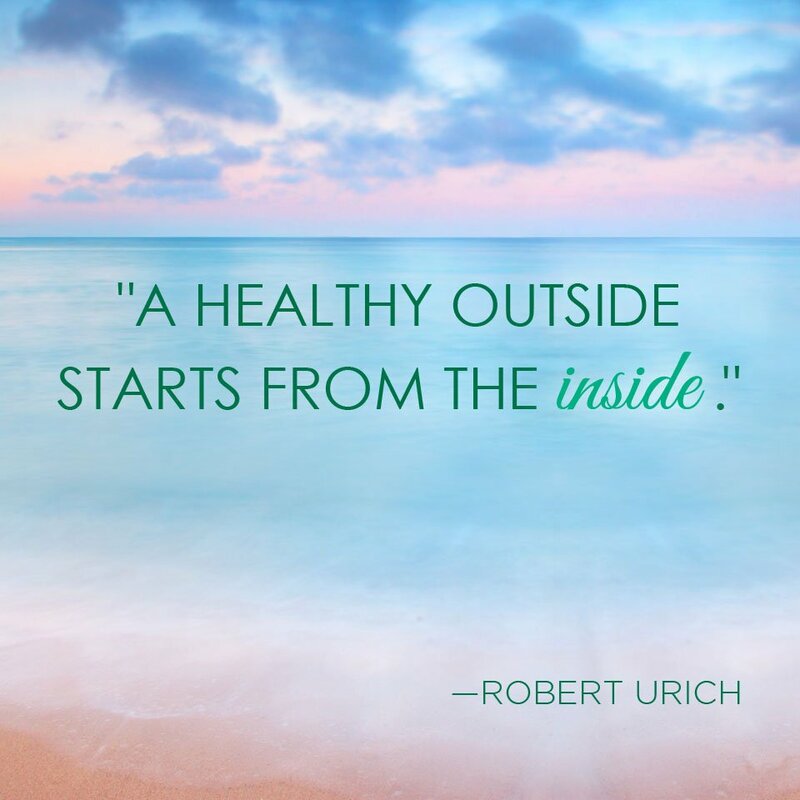 So much of your body’s own care for your skin happens beneath or within the skin. This makes supplements that actually support cellular health and production an important addition to your skin care regimen. All fluid in the body shares a common osmotic pressure, which is essential to the consistent maintenance of bodily tissues. In order for a substance to be absorbed by the body, it must be converted into an isotonic state, a process that requires a measure of energy on the part of the body. When a substance is already isotonic, it is more readily absorbed. In addition to the antioxidant properties of OPC-3 Beauty Blend, several key ingredients also are beneficial for skin health. Grape Seed Extract: The grape seed extract found in OPC-3 Beauty Blend is taken from the seeds of red grapes, which contain a high concentration of oligomeric proanthocyanidins (OPCs). Then there are a few ingredients in OPC-3 Beauty Blend that are not found in standard OPC-3. These ingredients enhance the skin health benefits of the Beauty Blend. Vitamin C, for instance, is itself a strong antioxidant, but it also promotes the normal synthesis of collagen and supports normal, minor healing. The Isotonix Vitamin C supplement provides this, and even more of the immune benefits of vitamin C. OPC-3 Beauty Blend also contains vitamin E, which supports normal healing and protects cells from the impact of free radicals. –*These statements have not been evaluated by the Food and Drug Administration. This product(s) is not intended to diagnose, treat, cure or prevent any disease. Montagna, William, and F. John G. Ebling. “Human Skin.” Encyclopaedia Britannica. Encyclopaedia Britannica, Inc., 25 Nov. 2015. Web. 06 Jan. 2017, https://www.britannica.com/science/human-skin. McIntosh, James. “What is Collagen? What Does Collagen Do?” Medical News Today, 05 Aug. 2015. Web. 06 Jan. 2017, http://www.medicalnewstoday.com/articles/262881.php.